Caterpillar® is known around the world for manufacturing lift equipment that sets the standard for exceptional reliability, unmatched power and rugged performance. Whether you’re in the market for a new forklift or used Cat telehandler for sale, choose Cat. You’ll benefit from material handling equipment purpose-built to tackle the toughest applications every day. Chicago Industrial is your go-to source for competitively priced Cat forklifts for sale capable of reducing operating costs and increasing productivity. Our inventory of Cat forklifts can range in load capacities from 2,500 pounds to 6,000 pounds. Models available include electric counterbalanced, internal combustion cushion and pneumatic tire lift trucks. Benefits of purchasing a new or used forklift built by Caterpillar include fuel efficiency and reduced emission levels, low maintenance and extended service intervals, and spacious, low-effort operator stations. Chicago Industrial is also home to a broad selection of used Cat telehandlers that deliver a combination of best all-around visibility and reach capabilities in material handling. From easy-to-use controls to operator stations that offer improved safety and productivity, our Cat telehandlers for sale are among the most versatile pieces of equipment for companies in a variety of industries. When you’re looking to expand capabilities while controlling costs, our used material handling equipment solutions make sense. You can count on us for used Cat forklifts and telehandlers, which we carefully service and test to ensure like-new condition. We call on decades of industry experience and the best inventory of used lift equipment to provide cost-effective solutions to fit your budget and needs. Everything we do is geared to helping you find the right equipment at a great value. We partner with Direct Capital to offer customizable financing solutions that complement your company’s goals. The process is simple. You can complete your application online, and it only takes a few minutes. We serve the new and used material handling equipment needs of both local businesses in the Chicago area and companies throughout the United States, Mexico, Canada and around the world. Simply pick out the Cat forklift you want from our inventory and give us a call at 815-744-8811. Or, you can submit an online contact form for a free quote on total cost, including shipping. 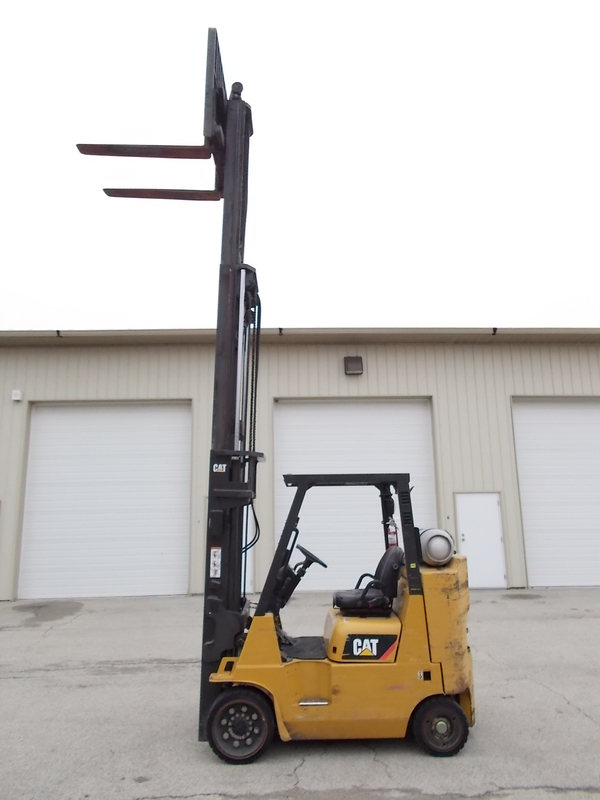 Chicago Industrial delivers one of the best selections of new and used telehandlers and Cat forklifts for sale in IL. It’s our goal to provide the highest level of customer service and support to win your return business. Browse our current inventory of material handling equipment or give us a call for help locating the specific model of material handling equipment best suited for your operation.